Guarantees NEMA 6 (IP 68). The strain relief allows the cables to move without cracking and breaking. This cable is designed to ensure a perfect transfer of HDMI signal to any HDMI source (LCD monitors; HDMI recorder: etc). 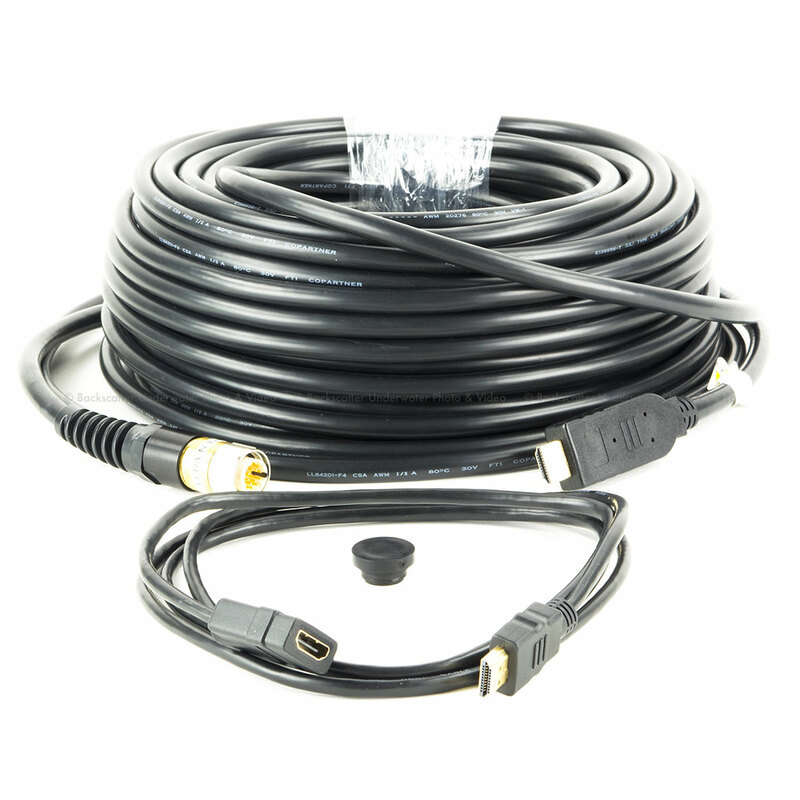 Dive & See 37 ft / 11 m underwater cable with waterproof connector from one end and HDMI (male type A) connector from other end (top side). Guarantees NEMA 6 (IP 68). The strain relief allows the cables to move without cracking and breaking. This cable is designed to ensure a perfect transfer of HDMI signal to any HDMI source (LCD monitors; HDMI recorder: etc). Custom length and other connector types are available.